Hi Denise! Wow, first of all, what a FABBY name for your blog and love your whole design here. 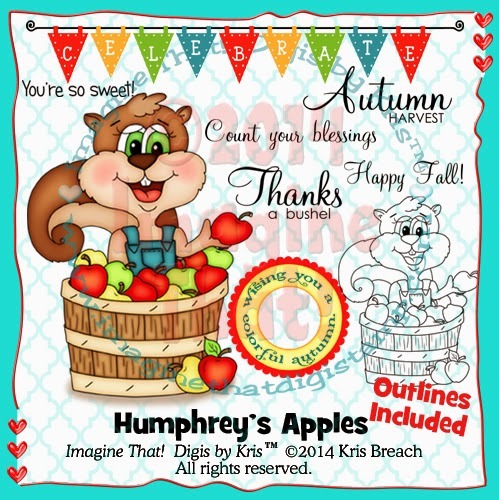 Super Yummy :) Secondly, LOVE your card you made with my Humphrey's Apples digi set!! 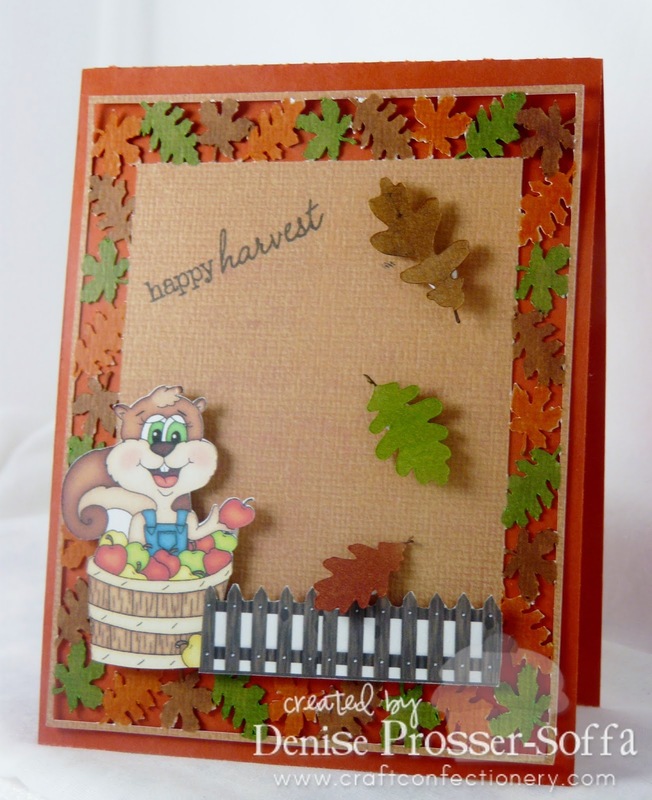 All those fun leaves around and the fence... this is super cute. Thanks so much. I'd love to display your creation on my store's product page if you'll allow me the honor? :) Happy to sponsor Sunshine Mail challenges.